The Beninese icon Angélique Kidjo returns to diva-dom with her album titled EVE as an ode to women across the continent. The collaboration rich Eve is set to be released early next year through 429 records features the joint efforts of Vampire Weekend‘s Rostam Batmanglij, Kronos Quartet, NOLA legend Dr. John, as well as Kenyan and Beninese women’s choirs. The first single “Eva” (not to be confused with the album name) showcases a double dose of vocals from Nigerian/French soulstress Asa. On Eve, her highly anticipated Savoy Records debut named for her own mother as well as the mythical mother of all living, the Beninese born, Grammy Award winning singer/songwriter builds on this ever-evolving legacy with a 13-track, three interlude set of melodically rich, rhythmically powerful expressions of female empowerment. These songs become all the more intimate and emotionally urgent with Kidjos dynamic collaborations with traditional women s choirs from Kenya and various cities and villages in Benin. The singer and her newfound native lady friends sing in a wide array of native Beninese languages, including Fon (Kidjo s first language), Yoruba, Goun, and Mina. 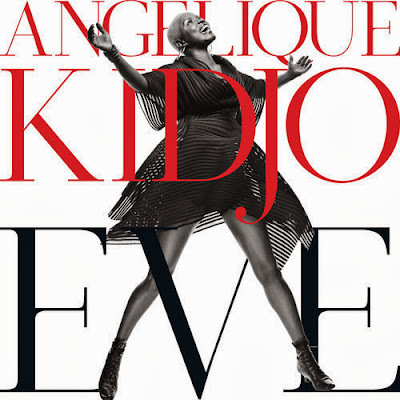 Eve is an album of remembrance of African women I grew up with and a testament to the pride and strength that hide behind the smile that masks everyday troubles, says Kidjo, whose accolades include a 20 year discography, thousands of concerts around the world and being named Africa s premier diva (Time Magazine) and the undisputed Queen of African Music (Daily Telegraph). They exuded a positivity and grace in a time of hardship. On this recording I am letting the voices of the women show their beauty to the world, she adds. Eve is all about showcasing the positivity they bring to their villages, cities, culture and the world.